Alopecia is the lack or loss of hair from areas of the body where hair is usually found. Alopecia can be a side effect of some cancer treatments. 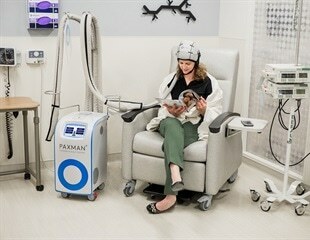 British scalp cooling expert, PAXMAN will showcase the latest model of the PAXMAN Scalp Cooling System at Arab Health 2019. An all-Yale team of researchers successfully treated a patient with disfiguring sarcoidosis, a chronic disease that can affect multiple organs, with a drug approved for rheumatoid arthritis. Screening a tiny section of DNA could help East Asian patients avoid severe reactions to some medications. Understanding how cancer cells are able to metastasize -- migrate from the primary tumor to distant sites in the body -- and developing therapies to inhibit this process are the focus of many laboratories around the country. New research presented at the 69th Annual Conference of the Cardiological Society of India (CSI) indicated that premature greying and male-pattern baldness are linked to a greater than fivefold risk of heart disease before the age of 40. The study also suggested obesity is linked to a fourfold risk of early heart disease.